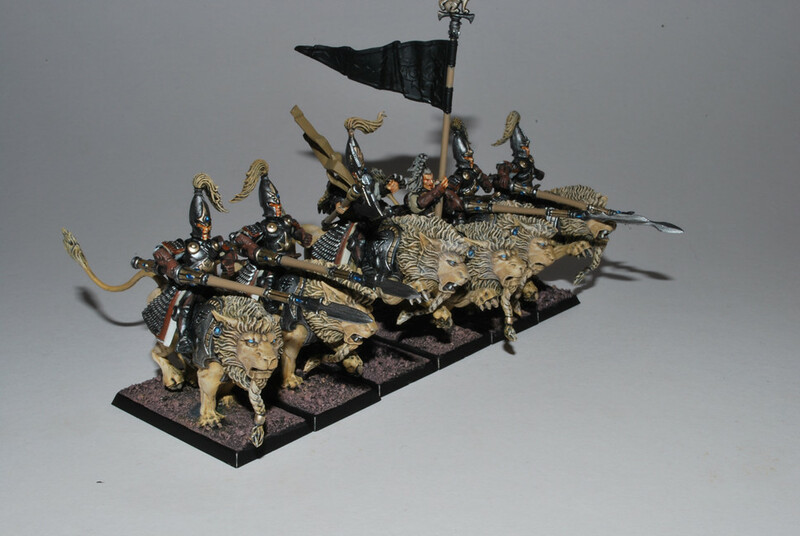 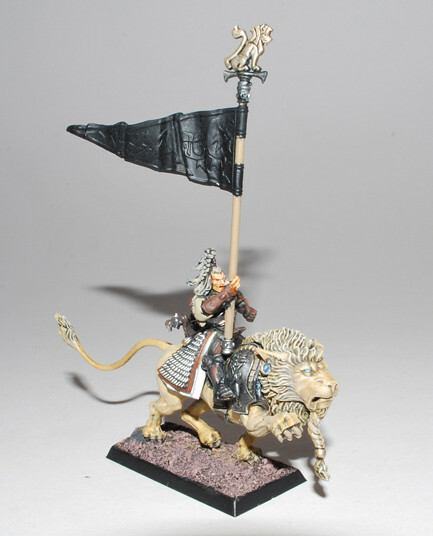 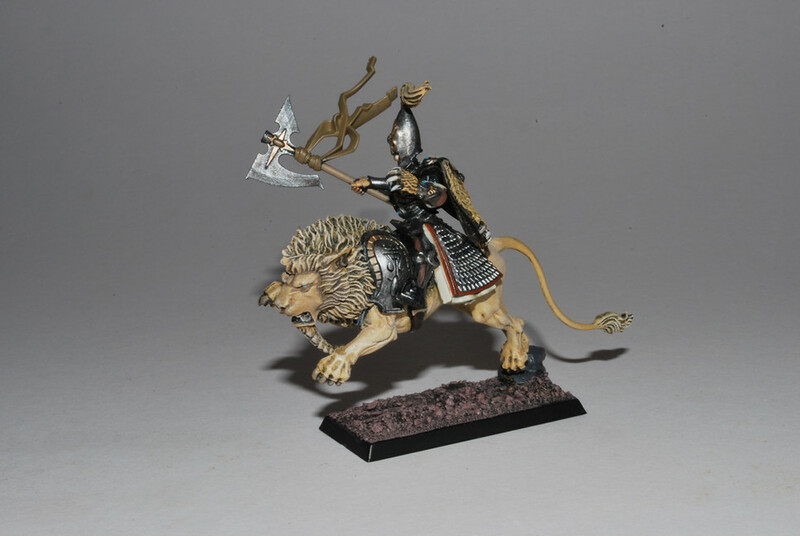 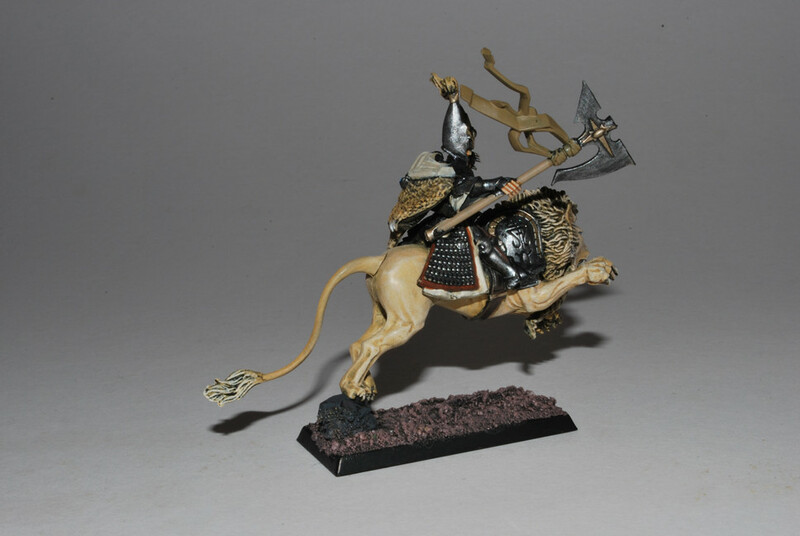 Yup, more on the White Lion Riders. 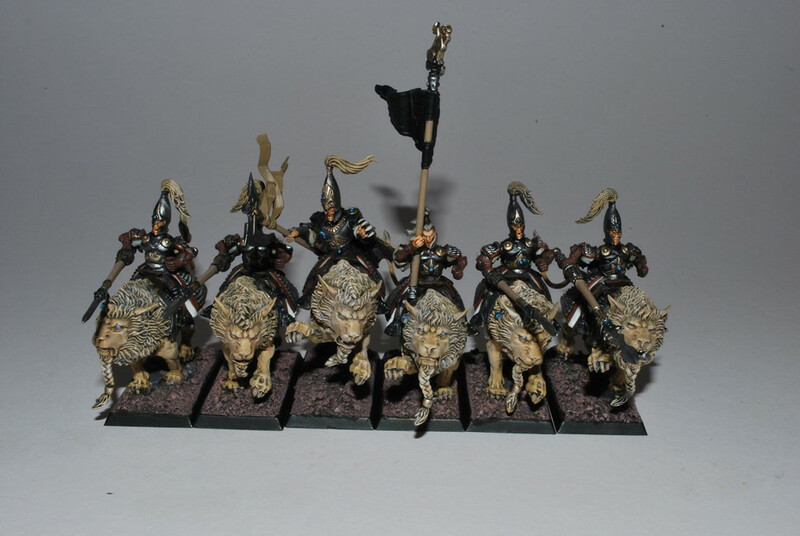 The standard has since been painting and bases grassed, so looking better. 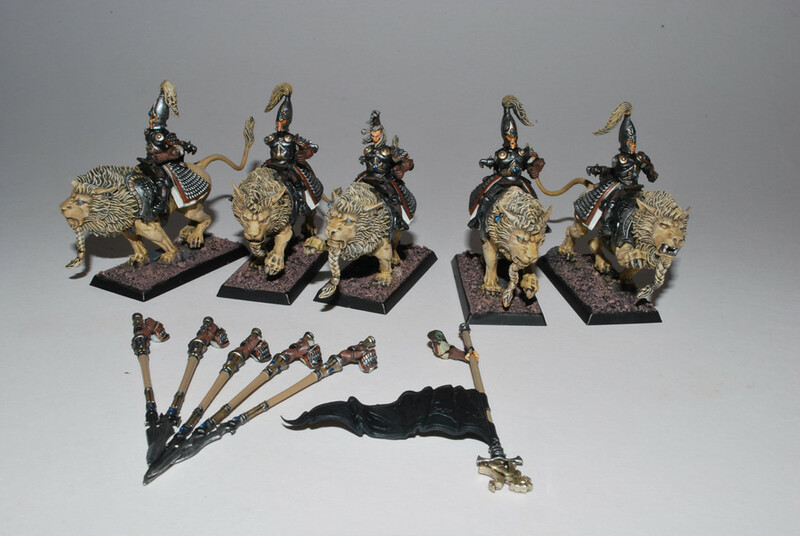 Will have shots up soon for the completed army! 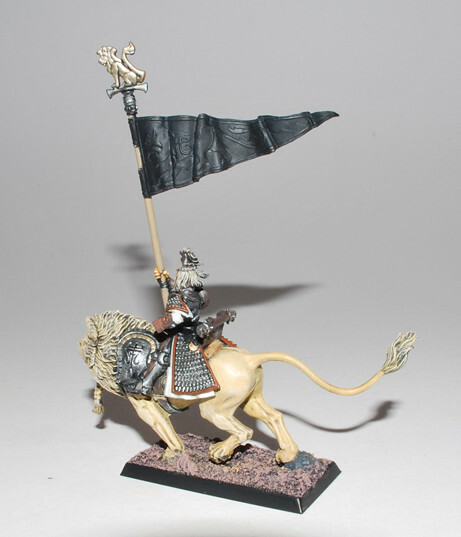 Magnetized lances and standard come highly recommended, it avoids strain on the model and breakage during transport and can even be reposed to make room for charges on the table.